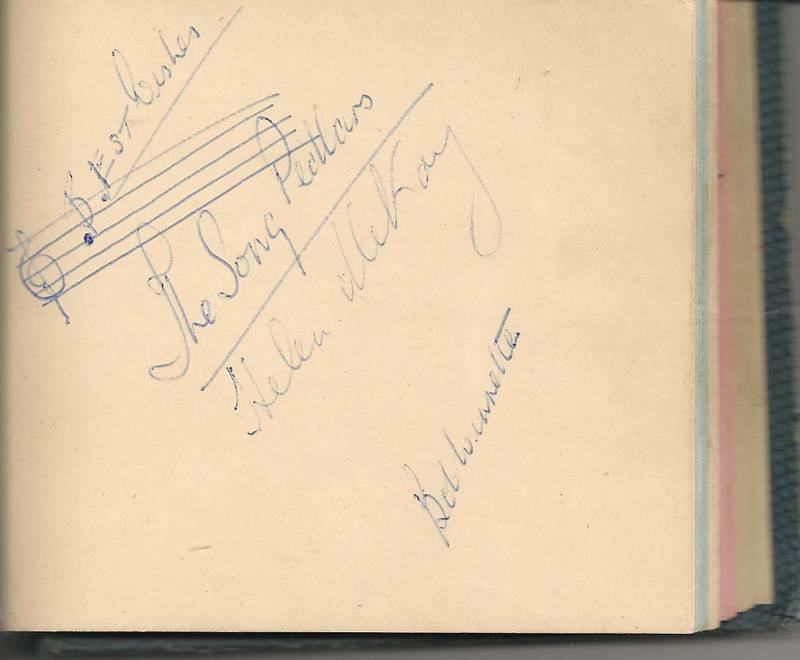 and am so pleased to see Helen McKay talking about her first appearance on television in 1936 when she sang Here's Looking At You. I found the programme about television and Alexandra Palace really interesting, but that is probably because I grew up with my father's interest and work in Radio and T.V. at the E.M.I. all around me. Also, childhood connections with Helen Mckay and Bob Wynnette. That also makes the finding of the videos exciting for me and maybe for anyone interested in the history of the beginnings of Television and the links with Hayes. Does anyone think that Helen McKay should be mentioned in the 'personalities' category? I think so because she was part of History in the making regarding Television. Television Comes To Bradford is a film about half-an-hour long and is filmed at the Television Museum in Bradford. Helen McKay is introduced by showing the clip of her singing part of Here's Looking At You. This starts at about 5.59 and then her interview up to 6.51 or so. The other Youtube clip shows the complete performance and some footage, probably rehearsals, which weren't shown at the time. (Youtube: Hello Radiolympia). Did she come to Hayes? Oh!!! My second piano teacher was in Wimborne Avenue (Mrs Rixon). Definitely worth a mention in the personalities gallery! Three!! They were all VERY different. I intened to write about it at some point for "Special Features". I have put an appeal on the front of UXBRIDGE.MIDDX.NET for anyone else who remembers my first piano teacher, Phyllis Matthews, to get in touch. The third one, of course, we both know... Mrs Lovis.